Many years ago I visited my friend Shayne and her two-week-old baby girl. Shayne was spending her first day home alone with her new baby, and she was nervous. So, I said I’d come over and help. I’m not sure where all my “how hard can this be?” confidence came from as I had no children of my own yet, and Shayne was my first friend to have a baby. In all my naïveté, I arrived wearing white pants, and baby Erin spit up on them within my first 10 minutes in the house. This is how I learned that Clorox 2 is a really good stain remover. Shayne was so grateful for my company that she shared her secret stash of her grandma’s rugelach with me. I think this was the first time I had homemade rugelach, and I was blown away. Homemade rugelach is so much better than the bakery variety, which is also tasty. Back at home I was determined to make this rugelach recipe. Like a good scientist I researched other recipes to help me fill in the pieces of grandma’s recipe. This was pre-internet days, so other recipes were not just a quick click away. I used some cookbooks as a reference, and the rugelach came out great. 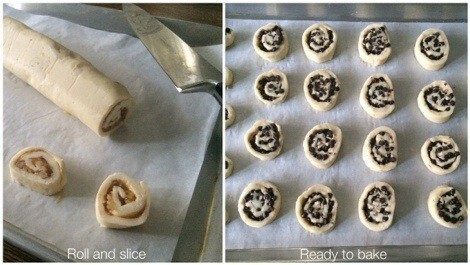 I’ve been making rugelach ever since. 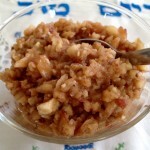 Rugelach is a traditional treat that I like to serve on Jewish holidays and other special occasions. 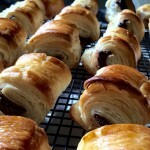 I brought my homemade rugelach over to my friends Charles and Dara each time they had a baby. But Charles never served these rugelach to his other guests; he enjoyed them so much that he stashed them away in the pantry for himself. 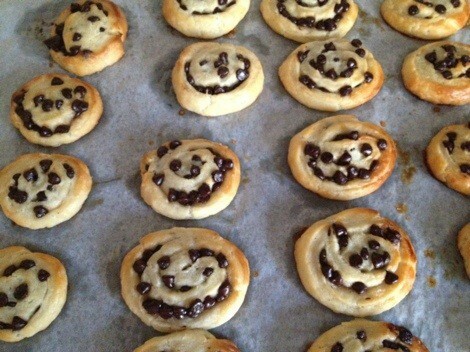 So, I think of Shayne and Charles whenever I make rugelach. And isn’t that what food is really about? It’s about sharing food with others, gathering together, and remembering those we love. I am experimenting with heathy baking. I made a vegan chocolate cake recipe from Food52 as mini cupcakes and used this icing with dairy-free chocolate chips and almond milk. I thought these vegan cupcakes were surprisingly good, and somehow tasted better after the first day. 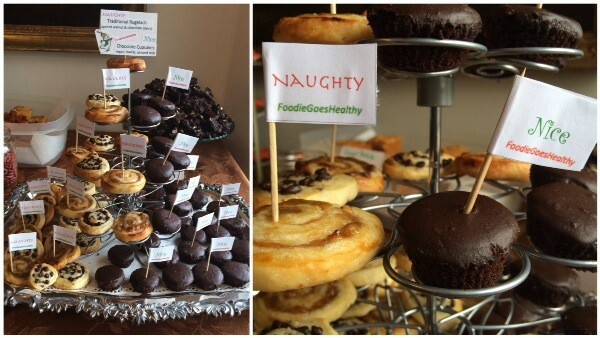 Yet, I’m still partial to naughty desserts. 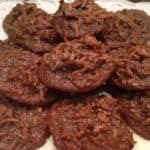 See the links at the bottom of the post for more holiday cookie ideas from my fellow food bloggers. 1) The dough needs to be refrigerated at least one hour before rolling, but ideally, refrigerated overnight. The key to this recipe is having the dough at the right temperature; the dough needs to be pliable but not too soft. Work quickly, and keep popping the dough into the freezer as necessary. While one piece of dough is chilling, I start working on the next step for another piece of dough. I often make a double recipe, which is 4 logs. Be patient and have some time on your hands to keep chilling the dough, and you will be rewarded with delectable cookies. 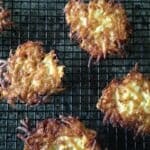 2) The traditional recipe does not include the optional ingredients, but I usually use them. The cookies are tasty either way. 3) I make two different traditional fillings for rugelach: Chocolate Chip, which is the most popular with my crowd, and Apricot Walnut, which is my personal favorite. So, I like to make some of each. 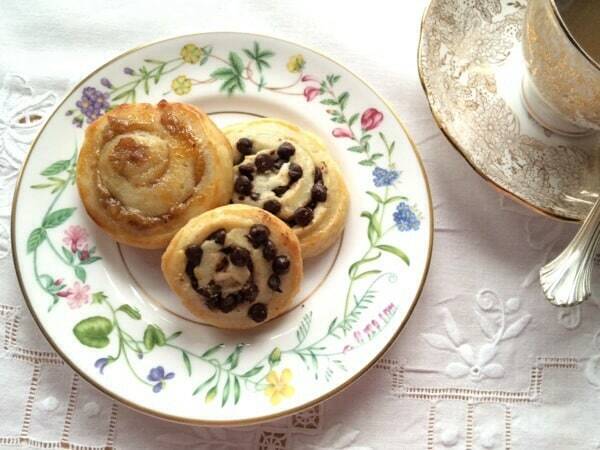 4) I love the way these cookies look as a pinwheel, but traditionally, they are presented as a section of a log or are rolled up as little crescents. It's all good. 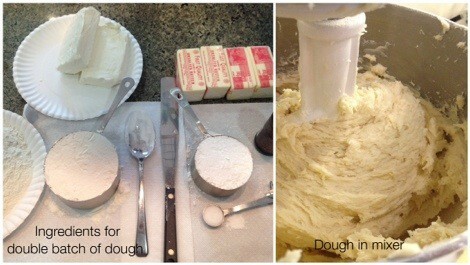 Make the dough: In a mixer cream butter and cream cheese on high until well blended. Optional: add in sugar, vanilla, and salt. Reduce speed to medium-low, and gradually mix in flour. Mix evenly but do not over-mix. Divide dough in half, and flatten into rectangles on parchment or wax paper. Wrap and refrigerate each piece of dough for at least 1 hour or preferably overnight. Dough can also be frozen. Preheat oven to 350 degrees fahrenheit, and place oven rack in the middle or just below. Place parchment on 2 large cookie sheets, and set aside. Roll the dough: Place parchment on the work surface, and lightly flour parchment and rolling pin. Add more flour to the rolling pin as needed. 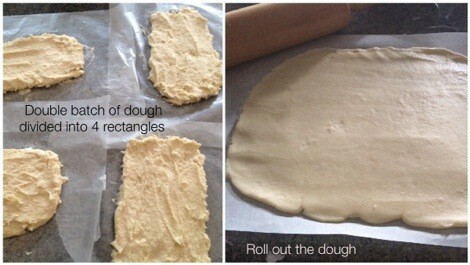 Take one piece of dough out of the refrigerator at a time, and roll each piece into a long rectangle. Roll from the center out until the dough rectangle measures about 9 or 10 inches by 11 or 12 inches and is about ⅛ inch thick. Add filling: Select one of the filling options. 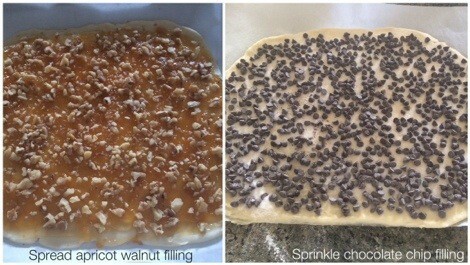 Either sprinkle chocolate chips and sugar evenly OR smear dough with jam and sprinkle nuts. 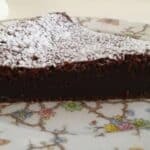 Stay away from the long edge farthest away from you so that the filling doesn't ooze out. Freeze briefly if dough is very soft. Make the logs: Roll the rectangle into a log by starting at the long end near you, and roll away from your body. Roll very tightly by tucking under and tightening as you go. Seal the dough seam with your finger. Freeze dough briefly if necessary. Slice the logs: With a heavy, sharp knife, slice the log into ½ inch pieces, and lay each piece on its side like a pinwheel spaced apart on a cookie sheet. Brush the tops of the cookies with an egg wash. Again, if the dough is very soft, briefly refrigerate/freeze cookies before baking so cookies hold their shape. Bake for 25-30 minutes (about 20 minutes for convection oven at 338 degrees) or until the cookies are lightly golden brown. Wait a couple minutes, and remove the cookies to a cooling rack. Serve out of the oven or at room temperature. Baked cookies can be kept unrefrigerated in a container for 3 days or can be frozen. These cookies can be frozen at any stage and then the process can be finished later. I like to freeze rolled logs that I can slice and bake later; it's a great make-ahead strategy for a party. Judy- thanks for your lovely comments. Do you feel that there is any taste or texture sacrifice with the Neufchâtel? Cathy- thank you. Please do; good ideas are meant to be shared. That’s what blogging is all about. Oh yes, I loved these. Both naughty AND nice! Dorothy- thanks for stopping by to let me know.